to yesteryear's lush green lawn. Get an elegant look without the annoying upkeep. 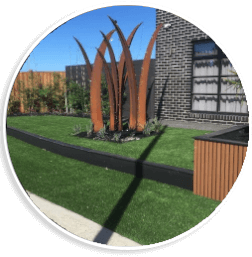 Installing artificial grass in Melbourne homes and commercial landscape settings is today’s alternative to yesteryear’s lush green lawn. Using the latest technology, we produce lifelike artificial grass products suitable for commercial and residential uses as well as sporting grounds and childcare centres. 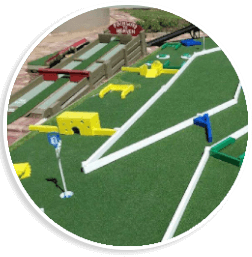 Our fantastic-looking artificial grass and synthetic turf can be laid in virtually any area and can be laid on a variety of surfaces. Reelgrass can be installed using our recommended installers, or we can assist you to install it yourself. 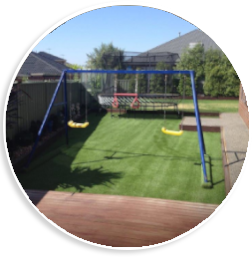 Installing synthetic turf in Melbourne home or in commercial settings is a cost effective way to transform your space. 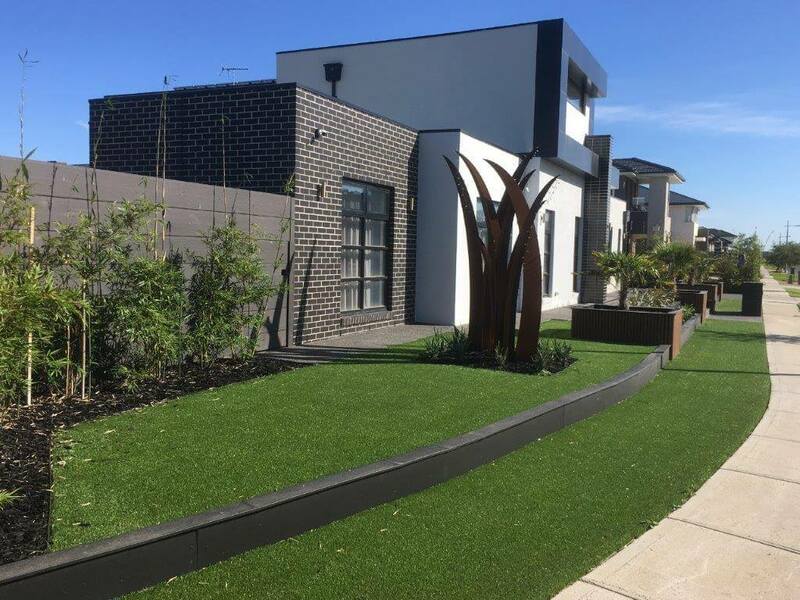 We have built a great reputation in Melbourne, Geelong and around the country as artificial lawn and grass suppliers by delivering outstanding customer service and providing superior DIY information. It’s something we won’t compromise on. Our focus is on providing premium quality synthetic lawn at very competitive prices, ensuring 100% customer satisfaction. Reelgrass have some of the most realistic-looking grasses on the market. Lifelike and durable, all of our 30mm and 40mm landscaping grasses and fake lawn comes with a 10-year warranty. 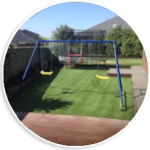 Our fake grass installations include grasses for home landscaping, commercial, sports astro turf, childcare and school applications. Speak to one of our experts today. All grasses are always in stock at our Hoppers Crossing warehouse (Geelong and Epping next day delivery), and if you need it delivered to anywhere in Australia we can help you with that as well. We carry large stock holdings so you are not waiting. 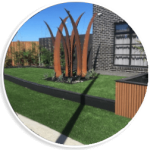 Reelgrass are the DIY experts; we can recommend which grass best suits your lifestyle, and can provide all the materials you need to complete the job. Alternatively, if you don’t want to do the job yourself, we have a team of installers ready to turn your dream turf into reality. 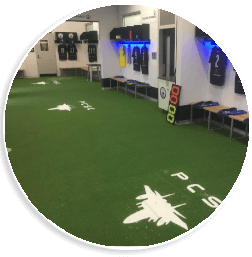 Speak to the leading suppliers of synthetic turf today. If you have any questions, please phone us on 1300 306 389 or, alternatively, send us an enquiry online and we’ll respond ASAP.